Churches across the Diocese of Camden bustled with activity on April 7, as parishioners partook in the annual FaithFULL food drove. The drive is held each year in attempt to fight food insecurity across southern New Jersey. 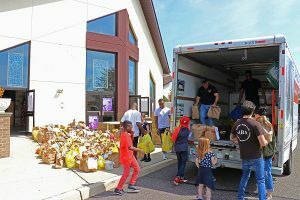 Following the drive, donated items are then distributed to Catholic Charities’ Family and Community Centers in each county, as well as other food pantries across Southern New Jersey. 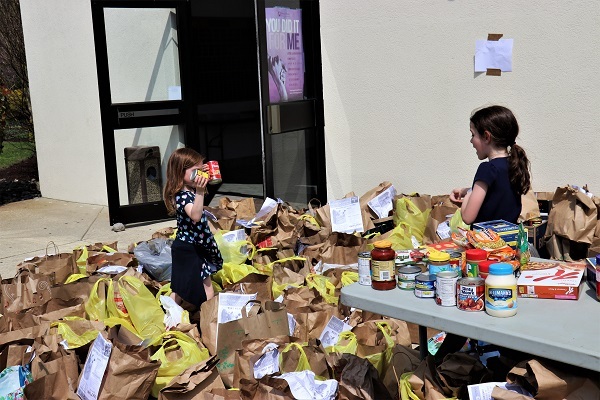 At Our Lady of Hope Parish in Blackwood, one of the drop-off locations, minivans, U-haul trucks, and caravans of cars pulled up one after another, each packed with donations and joyful parishioners who eagerly unloaded non-perishable food items that they had been collecting. Others donated cash and gift cards that will be used to purchase food for those who might not know where their next meal is coming from.